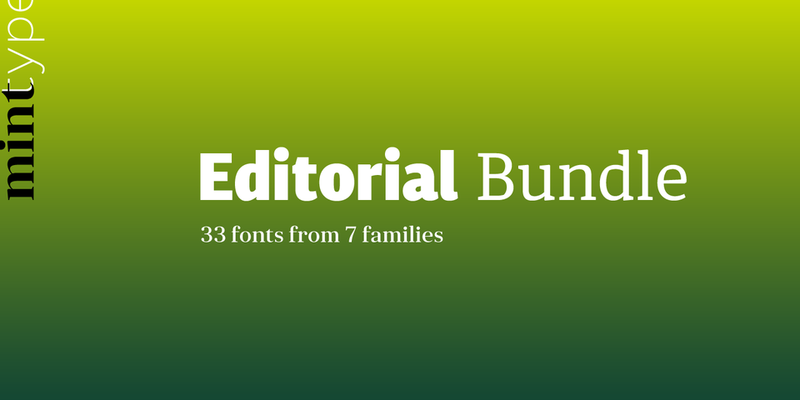 Mint Type Editorial Bundle will cover your font needs for any kind of editorial project, whether it’s a newspaper, magazine, corporate report, or a web version of any of the above. 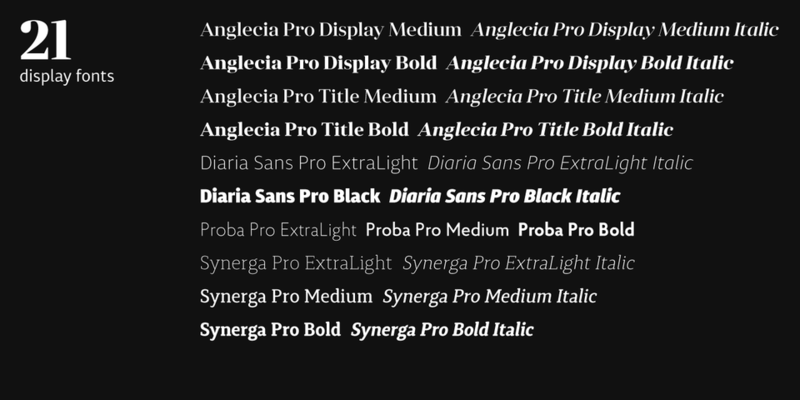 The collection contains 33 fonts from 7 typefaces—body text and display, sans and serif— that can be combined into beautiful, expressive pairs and sets. 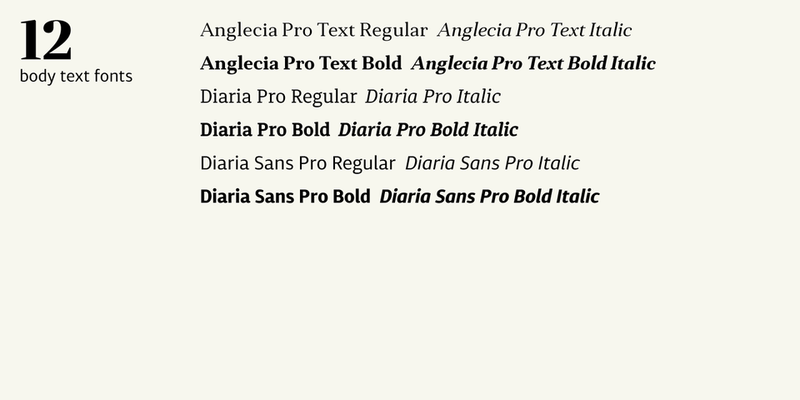 The careful selection of weights and styles will ensure that you’ll have what you need most when undertaking an editorial project: essential text styles for body text typefaces (Regular, Italic, Bold, Bold Italic), and hand-picked expressive styles for display typefaces. 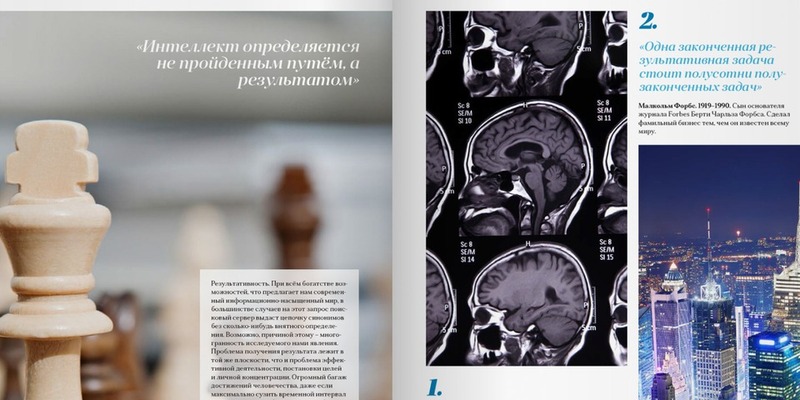 All of the included fonts have extensive language support that also includes Cyrillic script, and powerful set of OpenType features. 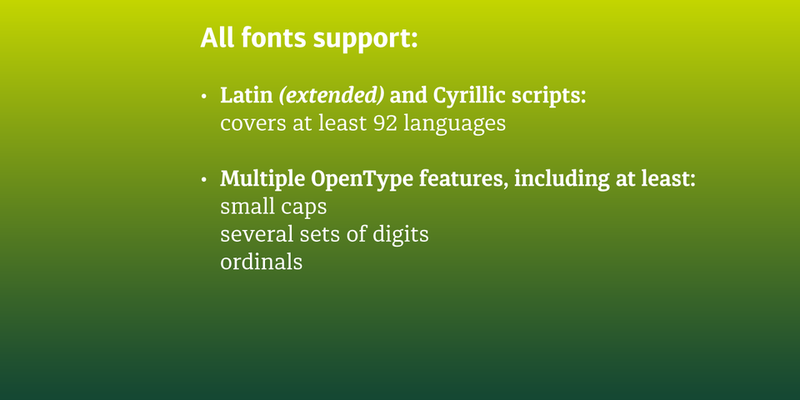 All fonts support small-caps, at least 4 sets of digits, superior and inferior digits, and ordinals.